This spacious chalet is artisan built to a very high standard comfortably sleeping 12 people in 5 large bedrooms . Bedroom 6 doubles up as a nursery/playroom for children, or can have a single fold away bed. 3 baby travel cots are provided and there are plenty of toys to keep little ones occupied. 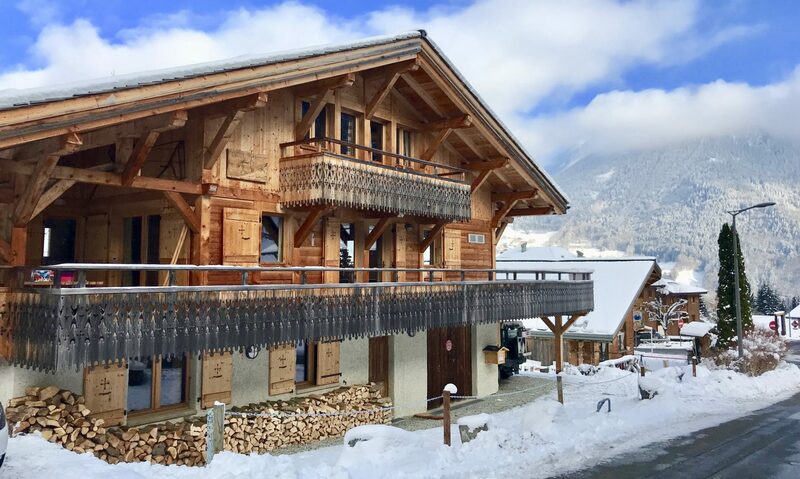 Chalet le Dahu has a large terrace to enjoy the sunshine and spectacular mountain views – a perfect place to watch skiers on the ‘home run’ or to enjoy the lazy summer afternoons. After a day on the slopes, soak in the sauna or the steam room and then take a short stroll to the local bars and restaurants. Chalet le Dahu is the ideal getaway for a family reunion or for families and friends on holiday together. The convenience of La Grande Terche makes organising your skiing holiday easy. Get your Portes du Soleil lift passes at the Roc d’Enfer station, then Jean-Marc and his team at Muffat Sports will look after all your equipment needs throughout the week. The mountain restaurants on the circuit and at the Terche are all enjoyed by locals and visitors alike. The local charcuterie and fromagerie and the sherpa shop for your morning croissants and other essentials are just 50m walk away. Carrefour express is in Saint Jean and a large Carrefour is en route to Morzine.